When it comes to digital marketing, it is not as simple as signing up for social media pages. There are many factors that are involved, a foundation on which planning and execution are based on. A foundation is required to increase online visibility and to compete with other brands. Without a foundation, your brand might struggle to grow, and your marketing campaign might steer towards a channel which isn’t right for you. 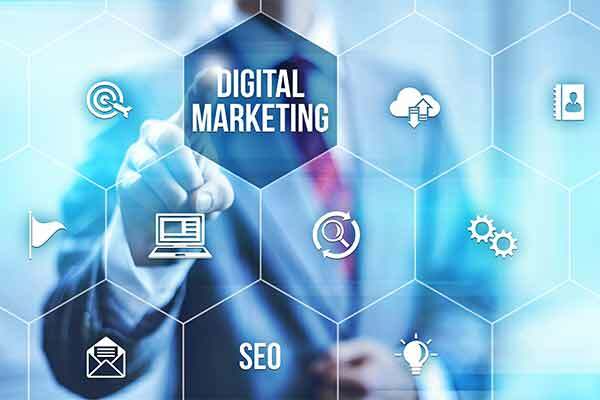 Let’s find out what is required to build a solid foundation for digital marketing. With so many brands competing to make a place in the online sphere, you need to have a clear vision of what your brand is going to be about, what you want to achieve, and why. This will help you create a persona for the brand. For this, consider the tone, feel, and message that your brand will give off, and this should be applied across all channels. Once that is finalized, you can create websites, social media presence, and other marketing materials. The goal is to have a consistent look so that people can recognize your brand. After setting up your branding, it’s time to identify and analyse your audience. Digital marketing campaigns should root to your understanding of your audience, what they want, and need. Don’t stop at age group, gender, and location. For your brand to stand the test of time, you will need to delve much deeper. Research and understand their behaviour, what they like and don’t, what influences them, their purchase drivers, etc. To make sure your business is not dead online, traffic needs to be generated to your online channels and it can either be paid or organic. Organic methods can be done through on-page SEO, off-page SEO, digital PR, blogging, influential marketing, referral marketing, etc. Paid methods include search and display ads, paid ads on social media, Pay Per Click, etc. To get your website recognized on the first page of search engines like Google, Bing and Yahoo!, SEO and keyword analytics are very important. Even digital marketing companies in India know that without SEO, only paid ads will not work. First, your website needs to be SEO-friendly. Then the content of your website needs to be SEO optimized. As voice search is becoming popular, using long tail keywords is highly recommended. This will also help in optimizing local search. If ad campaigns are one of your marketing strategies, landing pages and microsites are vital to encourage audience to go somewhere. Landing pages are created to give the audience the information that they are looking for, without needing to navigate through the website. You may spend a great deal of time in designing emailers, but if the landing page is not up to the mark, the clicks will not convert to leads. Any digital strategy needs to be analysed to measure performance. Through this, you will know what works and what doesn’t, which will help you plan a much more effective strategy. Google Analytics is an important tool which will help you measure results and get meaningful data from your marketing campaigns. Apart from Google Analytics, there are other free and paid tools that can help you measure performance. Once you have these foundations laid down, you can create campaigns. In the beginning, digital marketing strategies are a hit or a miss. Therefore, experiment and find out what works for your brand and what doesn’t.